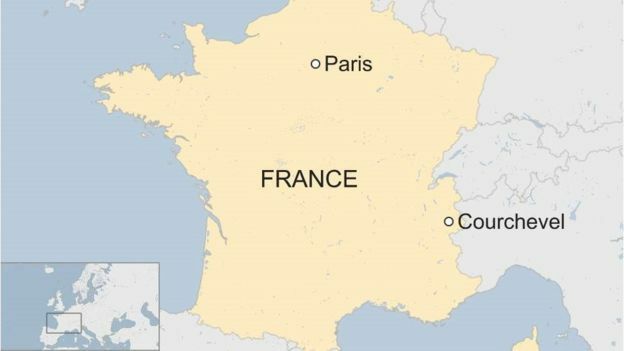 COURCHEVEL , France, EU - A large fire has broken out at the French ski resort of Courchevel, killing two people and injuring 22, four seriously, local officials say. The fire started before dawn on Sunday, in a building housing seasonal workers. In all, three buildings were affected. Seventy firefighters battled to bring the blaze under control. The cause has not yet been confirmed. Footage from the scene shows fire crews using ladders to try and rescue people from inside the three-storey building. 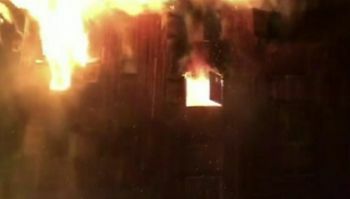 One video, posted on social media, shows at least one person jumping from an upper floor window to try and escape the blaze. Another clip appears to show dozens of people evacuated from the building gathered in the street below. Local media reports say the building houses about 60 resort workers, including foreigners. Three of the four seriously injured have been taken to hospital by helicopter, local officials said. The accommodation at the centre of the blaze was situated above a Chanel retail store. Frédéric Loiseau, a local government official, told French broadcaster BFMTV that the identities of those killed have not yet been established. "In the case of those seriously injured, it's impossible to specify whether their injuries came from a fall. Because the fire was on the third floor, some people jumped to save their lives," he said. "There were carbon monoxide emissions, and there were burns." He said local prosecutors and police would launch an investigation into what started the fire. Christophe Castaner, France's Interior minister, has tweeted his condolences to the victims' loved ones and paid tribute the firefighters.